See also original Bronze plan location on their website! 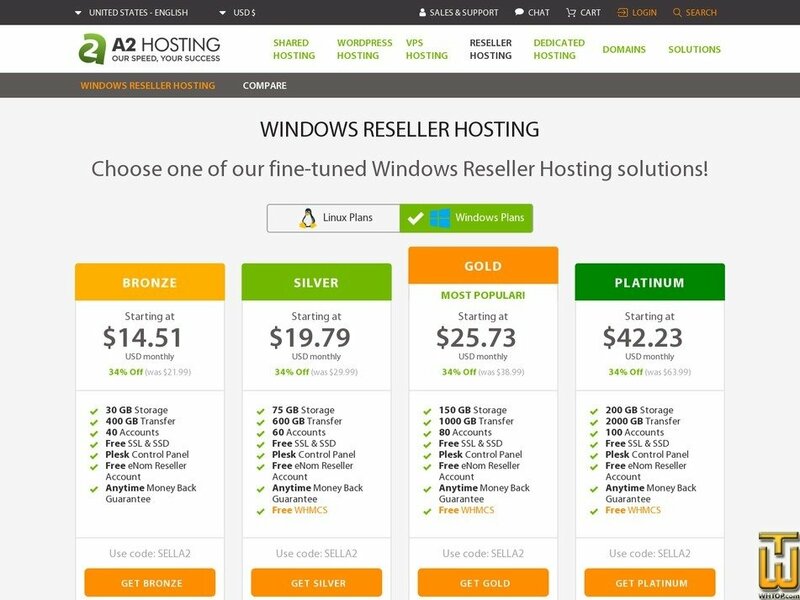 When you choose A2 Hosting for your Windows Reseller Hosting needs, you're choosing the solution who focuses on what you care about most; performance, reliability and support! Choose our Turbo Servers and your users will benefit from up to 20X faster page loads compared to competing hosts. Getting started on our blazing fast solutions is easy with the Plesk control panel. Get started now! For an overview of features enjoyed by shared hosting customer under a reseller package, please view our shared hosting comparison page.